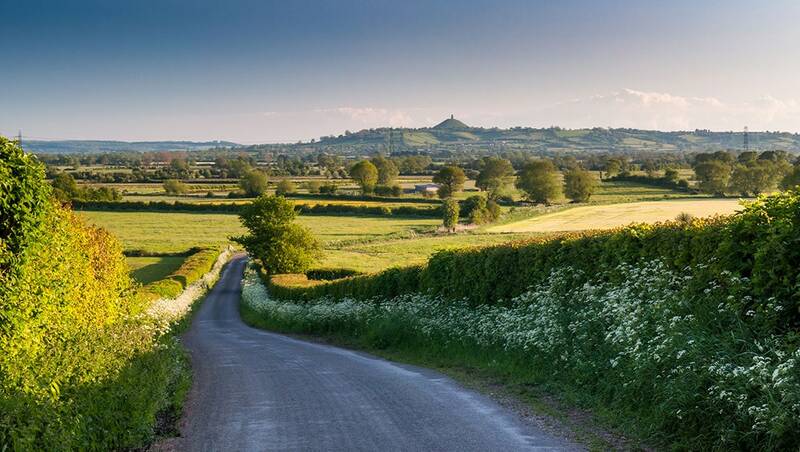 The Glastonbury Retreat is set in the idyllic Somerset countryside just 5 minutes walk from the festival. Our wonderful site is in a private and secluded spot enclosed with high hedges and surrounded by beautiful scenery. Being away from the main roads, The Glastonbury Retreat enables you to immerse yourself in the harmony of nature whilst providing a secure base for the ultimate Glastonbury Festival experience. 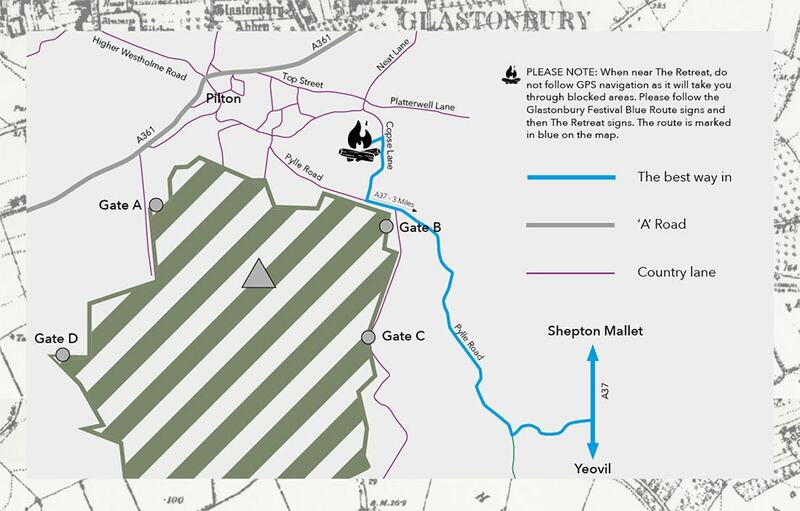 From the A37 please follow the festival signs to the blue route marked on our map. Please do not follow your Sat Nav as it will take you through blocked roads. On the last leg of the blue route before you enter the blue route entrance into the festival you will see a sign to The Retreat. Please speak nicely to the stewards at the blockade and show them your ticket, booking confirmation and blue pass that will be sent to you. They will let you though and guide you to our parking in the next door field to our site. EACH TENT HAS ONE FREE PARKING SPACE INCLUDED – IF YOU REQUIRE ADDITIONAL PARKING PLEASE PRE-BOOK IN OUR SHOP.